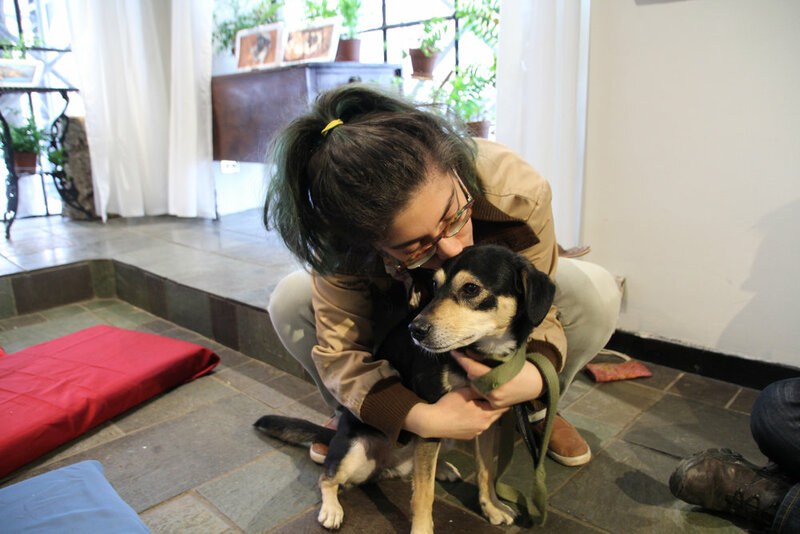 How can we build empathy between dog owners and their furry friends? There are 46.3 million US households that have at least one dog. Mintel’s Pet food and Supplies reports that 66% of pet owners say they ”treat their pets with as much care as they could with a child.” Many pet owners give their pets the best material conditions to show their love but do those supplies meet the pets’ needs? Many dog owners believe that they know their dogs very well. But do they really understand their dogs? Thus, I want to create an experience that will HELP PEOPLE TO BETTER UNDERSTAND THEIR DOGS. 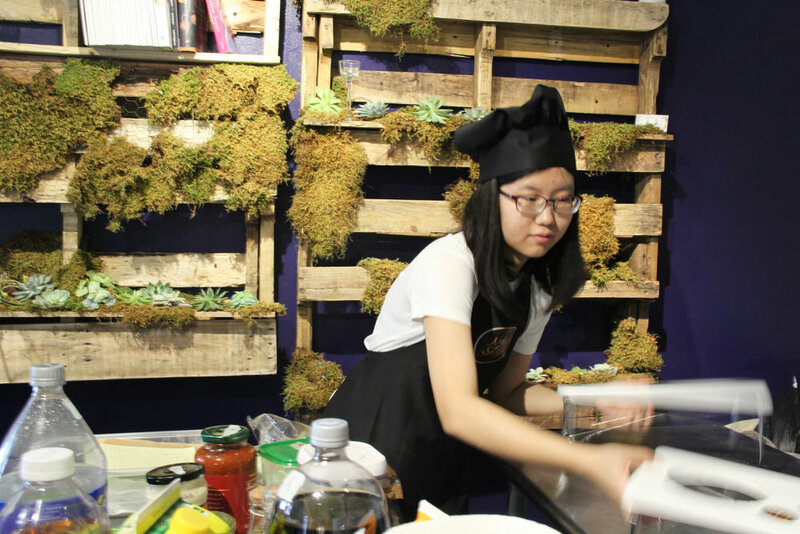 On March 25th, 2017, I invited the public to visit my pop-up restaurant at 5 Tudor place in Manhattan, New York. About 30 people with their dogs came to the restaurant to have this unique experience. The restaurant is dog-center designed, which means that the dining process was constructed to t the natural behaviors of the dogs. For example, dogs eat from dishes and bowls that are placed on the floor. 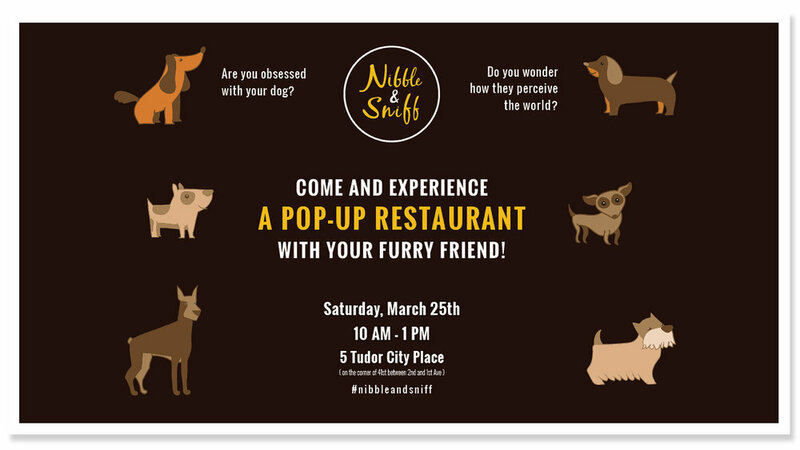 In Nibble & Sniff , I encourage customers not only to dine with their dogs but also to dine like them. 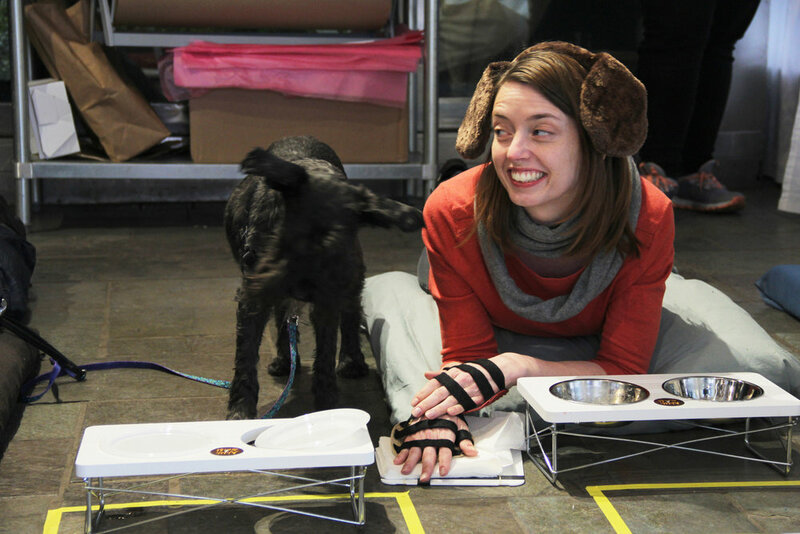 The goal of this experience design was to encourage people to experience their daily life from the perspective of the dog in order to build a deeper connection with their furry friends. In order to best simulate dog's dinning process, I designed several props to assist the whole experience. At the same time, I designed the branding system. Dog recognize everything through their smell. 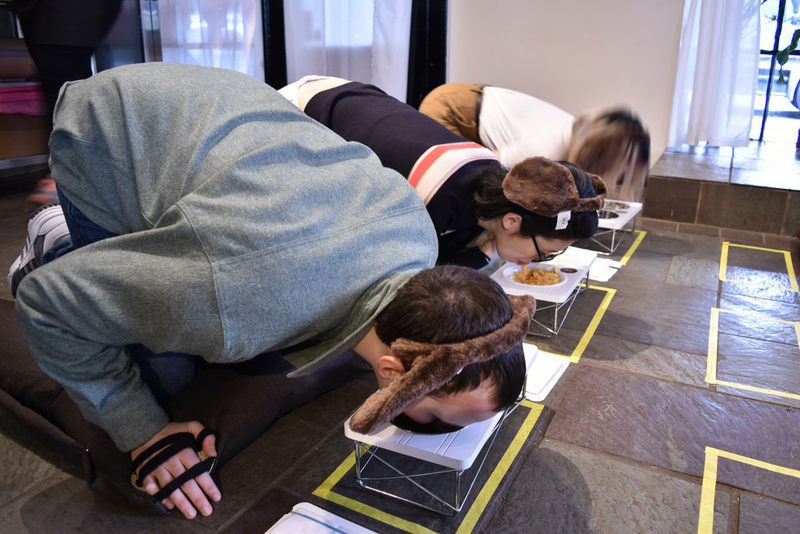 Their nose is their ìeye.î In Nibble & Sniff, customers order food by sniffing on the scent holder instead of reading a paper menu. Customers make the best use their sense of smell and avoid all visual distractions. Six different pasta sauce were placed on the smell menu. On the top of the menu is a mesh cut-out that allows the aroma to be released. Customers remove each lid and sniff the mesh. After smelling all six options, customers tell the waiter which pasta sauce would they like to order. This little paw-like accessory is designed so that it limits the ability of customers to use their hands. The straps are made from stretchable materials. Each of the paws has three straps so that it can fit any hand size. Napkins are fixed on this special holder. Instead of wiping their face by using their hands, customers have to put their face on this napkin holder. The napkin holders are mounted next to the food bowls on the floor. I posted the event on different social media platforms, including Facebook, Instagram, Eventbrite, etc. Before the event, I've practiced with potential users and perfected details from the feedback each time. Nibble & Sniff provided people with an eye opening chance to put themselves in their dog’s paws. For example, one of my participants said that he truly feels how his dog feels. This is extremely valuable that people can discover those undetectable problems. Intended clients will included animal behaviorists and representatives from the pet product design industry. Copyright © 2017 Ailun Sai. All rights reserved.